The Bolivar Tubos No.3 is a bold yet smooth Slim Panetela, 4.9” (125mm) long, of 34 ring gauge, and comes in aluminum tubes in a 25 cigars box. The Bolivar Tubos No.3, like the Bolivar No.1 and No.2, also has amazing fruity and earthy flavors; it is only smaller than its brothers. • A very creamy cigar that creates generous clouds of smoke. • Rich aromas of earth, leather and of strong coffee. A very thin cigar that delivers sharp flavors right away, very much like an espresso in the morning. A great choice for the aficionado that is looking for a quick smoke. The Bolivar Tubos No.3 has a nice dark wrapper, however not perfect; it is just a bit rough. We can also notice some small amount of tooth and just a bit of plume as well. Rich aromas of earth and sweet spice, typical of Bolivar, are picked up at cold. The draw is amazing. Despite being a small cigar, the burn line is neat and even for pretty much the entire cigar. 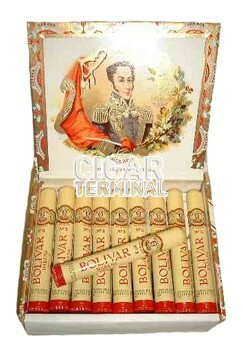 In the first third, one realizes right off the bat that this Bolivar Tubos No.3 is a medium to full body cigar. Lots of cream in the first third, dominated by earthy, leathery and coffee flavors. Here and there, cocoa notes add to the mix; all these flavors are well balanced and reveal the complexity of the cigar and its great construction. In the second third, the earthy flavors go down a notch but the leather aromas are increasing adding some bitterness to the cigar. All the flavors are well balanced once again and the cigar appears stronger, closer to a full-bodied cigar. In the final third, the earthy flavors come back as the cigar also increases in strength. The cigar also becomes spicier towards the end of the final third. In summary, the Bolivar Tubos No.3 is a very good cigar, strong however, (medium to full bodied cigar), but with rich flavors that are still enjoyable. 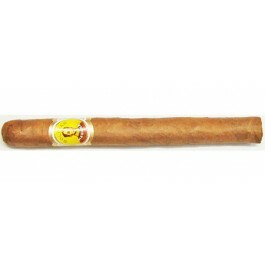 Its flavor are typical Bolivar, and is a very good choice for a quick smoke.